Is your brain in need of a serious work-out? Maybe you're tired of your everyday puzzle book and are looking for a new challenge to shake things up? 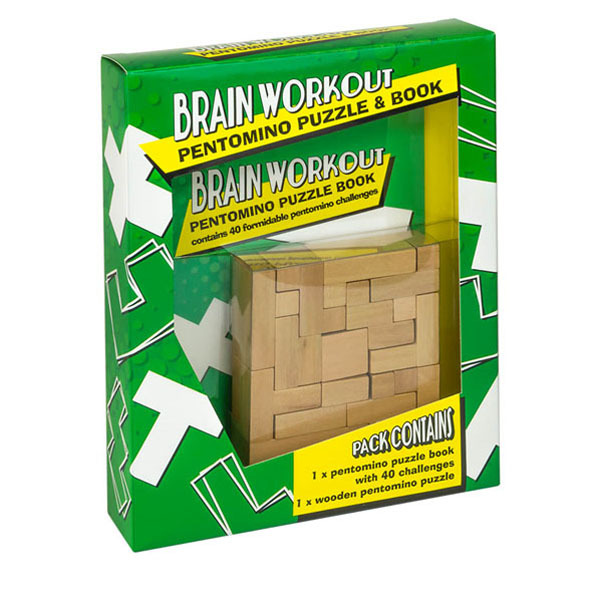 This Brain Workout Pentomino Puzzle & Book is a versatile item that will keep you entertained for hours. With 40 challenges to choose from, it will be a while before you're moving on to the next challenge! Perfect as a personal brain-training item or bought as a gift for maths and puzzle enthusiasts. When your grey matter is feeling a bit sluggish and in need of a pick-me-up, look no further than this Brain Workout Pentomino Puzzle & Book to provide yourself with a well-needed challenge! 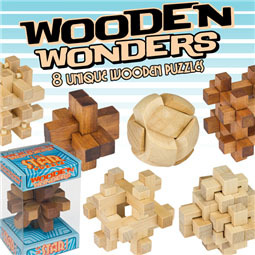 Choose from 40 different puzzles included in the kit to give yourself hours of stimulating, problem-solving fun!